There are several things to look for when selecting the right air mattress for your needs. First, what will you need it for? Check to see if the model you like is meant for both indoor and outdoor use. If you have a harder time getting out of low lying mattresses, some models offer more height. Be sure to check out the warranty. One of the most common complaints with air mattresses is leaking and deflating, so choosing an air mattress with a good warranty may be worth the extra cost. 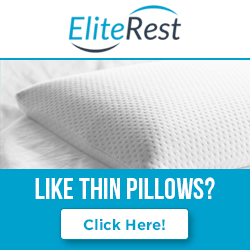 Check to see if a mattress is puncture resistant. Thicker air mattresses are less likely to sag and offer more support overall. They can also handle being inflated with larger amounts of air, which can offer more firmness. Many air mattresses offer additional features. Whether you are looking for portability, ease of use, or something to impress overnight guests; there is an air mattress to meet any of these needs. Fits standard king size sheets. 120V built-in electric pump inflates the bed quickly. The Fox Airbed mattress has one of the thickest layers of vinyl.. This thickness gives the mattress more durability and is more comfortable to sleep on. With the built in two way pump allows you to inflate the bed much faster. This model comes with a plush high rise portion for added comfort and ease of getting in and out of bed. The Fox Plush High Rise will remain firmer longer so you won’t wake up being swallowed by a sinking mattress in the middle of the night. Fox Plush High Rise Mattress comes with a ninety day warranty. A good warranty is important to look for in an air mattress, especially ones that will be exposed to harsh outdoor conditions. This mattress comes in four different sizes: Twin XL, Full, Queen, and King. They are all true to the standardized mattress sizing, so you will not need to buy extra sheets. The Aerobed Elevated Dura Beam air mattress has several characteristics that makes it a an excellent mattress for the person on the go. Are you a camper? Do you like to have friends over? This mattress comes with a handy carry bag, and is lightweight, so that you can take it with you or easily store it away to have on standby for when company comes over. The mattress is designed with horizontal air chambers which create good back support. These chambers also prevent the mattress from sagging while you sleep or relax. The Aerobed is fourteen inches high, which is closer to the height you would have when sleeping on a standard mattress. The Aerobed is another good choice for those who need a bed that is easier to get in and out of. 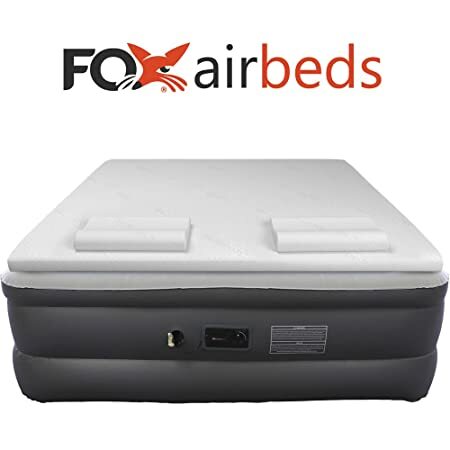 It comes with a standard built in 120 volt electric pump which quickly inflates the mattress. This function also allows you to set the firmness to the comfort level of your choice. The Aerobed mattress comes in a King size only and is true to size, so it will fit the sheets you already have; no need for extra purchases. Finally one of the most functional design components is the whoosh valve which deflates the mattress in under a minute. So sleep in that extra couple of minutes and be on the go in a flash. The Coleman QuickBed is equipped with design features to prevent any foreseeable problems. Coleman is a known for quality camping gear since 1905. So while this mattress can be used indoors as an extra bed, it is great for the on the go hiker or camping fanatic. The mattress is made from heavy duty PVC and quality tested for perfection. The surface you sleep on is soft and plush; it has a velvety texture to ensure you sleep comfortably. This mattress has very minimal upkeep and maintenance so it will be one less thing you need to worry about when planning your trip or having guests. The specially designed coil system provides a higher level of support and comfort while sleeping or relaxing indoor or outside. The Coleman QuickBed is factory tested to be leak free. 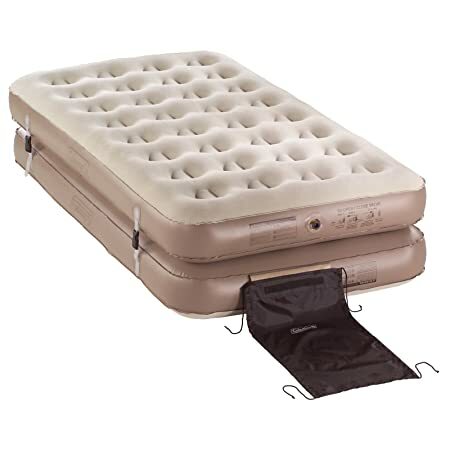 Coleman has addressed many of the common air mattress complaints with this model. 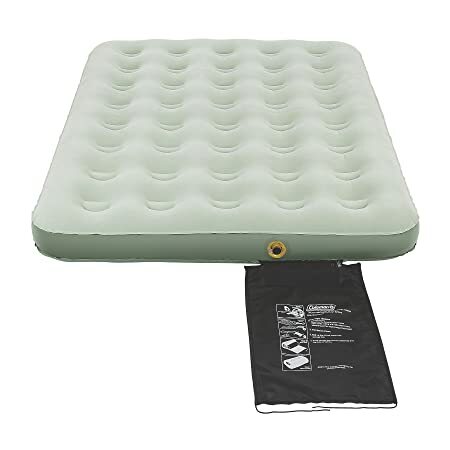 An additional air pump is needed for inflating this mattress so be sure to include one when you purchase this mattress. The Coleman mattress is available in the following sizes: Twin, Full, Queen and King. Like our other models, this mattress is true to size. The Coleman Quickbed also comes with a quick roll system for ease of deflating, rolling, and storing away until your next adventure. 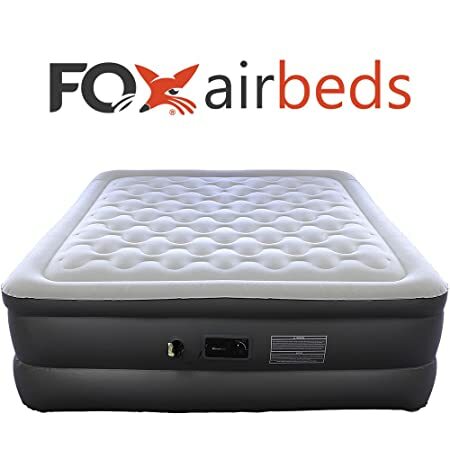 This Fox Air Bed mattress has all the bells and whistles you could ever need in an air mattress. It is easily inflated with a built in two way external pump. Consistent with other Fox air mattresses, the vinyl is forty three percent thicker for added durability and comfort. This model comes with two built in gel memory foam pillows. Not only do the pillows add extra comfort, it is one less thing you need to pack or worry about. Because the pillows are built in, just inflate the bed and it is ready to use. Fox doesn't just stop with built in pillows, the mattress top itself is also made of a memory foam gel. The topper is two inches thick and provides ultra cooling comfort for those who get overheated when sleeping. There will be no sagging or finding yourself sinking to the middle of this bed. Not only is the mattress supportive, it has an air flow chamber which provides more breathability than other air beds. So no more hot, sweaty, restless nights. This mattress comes in Twin XL, Full, Queen, King, and California King. The guarantee is worth nothing on this model. Fox is so confident in the features of this mattress that they offer a money back guarantee if you are not satisfied. The Coleman 4-in-1 is multi-functional and will fit multiple needs with the same mattress. 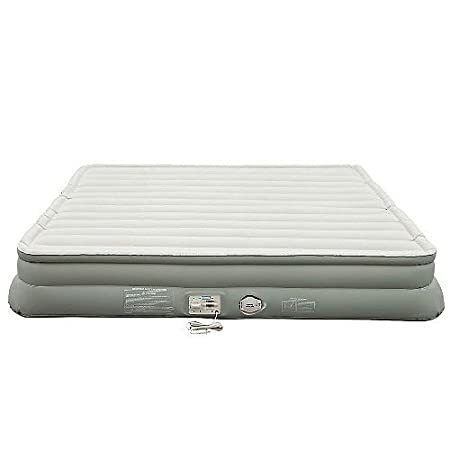 This air mattress serves as two twin mattress that can be stacked for extra comfort or ease of getting out of the bed. The mattress can also be used separated for two twin mattresses, or zipped together to create a large king size bed. The wide variety of sleeping options makes this mattress great for camping and hosting overnight guests. The inner coils provide extra durability and support. The coils combined with the plush top provides a non sweaty and supportive surface for sleeping. The mattress itself is made of heavy duty PVC, which is resistant to puncturing. The Coleman 4-in-1 is guaranteed not to deflate while you’re sleeping or lounging around. The bed uses a double lock valve to prevent air from leaking out while you use this bed. This extra security feature is great since overnight air leaking is a common air bed complaint. Coleman makes sure you wake up on an inflated mattress and not on the ground. As with other Coleman mattresses this model comes with an easy wrap n roll storage system to get you on the go in a hurry. This is a great indoor or outdoor air mattress that offers a variety of sleeping options. The SoundAsleep air mattress will do just that, keep you sound asleep at night. Though this bed is not offered in a King it is one of the most highly rated and definitely worth looking into. The inner air coils are the leading in the industry for support and durability. This air mattress will remain firm and inflated all night long. The patented internal pump can inflate or deflate with just one click. It takes just under four minutes to reach peak firmness and can be quickly topped off in the event you need to add more air. It is designed to be used in the home so it is great for overnight guests and slumber parties. The mattress is made of extra thick waterproof material that is resistant to puncturing. The bottom of the bed has a non slip material, so this mattress will stay put while you or your guests sleep. SoundAsleep is so sure of this product they offer a one year guarantee. This bed has one of the higher price points, but makes our list by covering all of the most common air mattress concerns from reliability to comfort. This mattress includes a storage bag so you can easily deflate it and store it out of sight until your next use. Though SoundAsleep does not offer a King size, this is a great choice for a high quality indoor only air mattress. Choose a mattress that has a good warranty and suits your needs. Be sure to look at the various methods of inflation and that way you will know if you need to purchase an external pump. Check to see if the mattress fits standard sheets, so you don’t have to buy specialized linens. If you have back problems or difficulty getting in and out of beds that are low to the ground, select a model that offers the most height. Finally, check for guarantees and warranties. Not only does a long warranty ensure you are covered, it also shows you how confident a company is in their product. Using all these tips can help you pick the best model for your needs. Selecting a quality air mattress can be a breeze to achieve and will ensure a great night sleep for you or your guest.